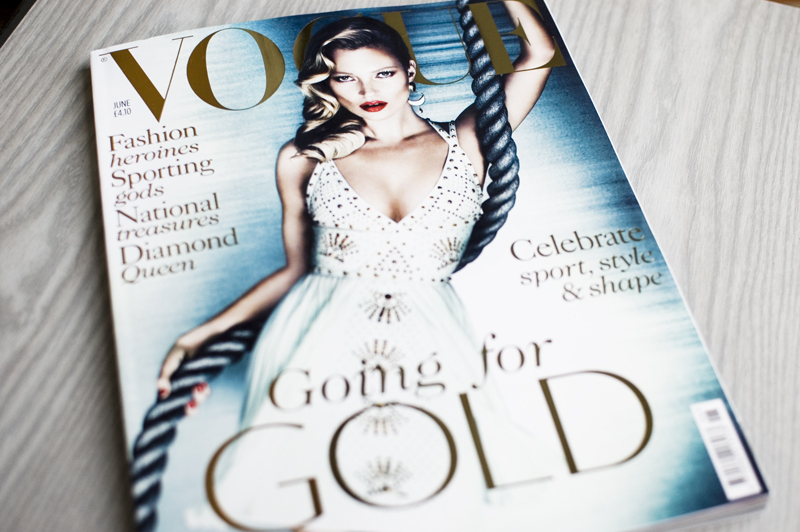 Photographed by Mert & Marcus, Kate Moss looks simply stunning in a studded Versace dress on this months cover of Vogue. With the Queen's jubilee coming up in June, and the 2012 Olympics on the horizon, the June issue bombards us with British, and I can't think of anything better! I love the blue tinge featured throughout and the gold lettering on the cover looks beautiful! The paper feels different to...I wonder if they've changed it? What do you think of Kate's appearance on this months Vogue? I have a law exam today, so I should really stop blogging now and start revising...wish me luck!